The medical field is rife with the need for trained professionals in all aspects of the field. There are surgeons, doctors, licensed nurses, registered nurses and certified nursing assistants, all with the goal of helping people. Certified nursing assistants (CNA’s) occupy a particular place in the medical field; often considered to be the ‘bottom rung’, they are also at the front line of any clinic, hospital or nursing home when it comes to dealing with patients on a daily basis. 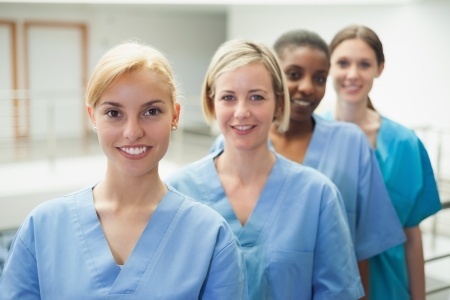 What kind of person becomes a certified nursing assistant and why? What kind of education do you need and what will you do on the job? Before deciding to jump into this life, it’s important to answer these questions and you’ve come to the right place to answer them! Do you have the right skills to be a CNA? Compassionate – They must be able to deal with patients in an empathetic and thoughtful manner, as well as handle the family. Detail oriented – Every last detail of a patient’s care must be done and this requires care. You also have to be able to notice if anything seems ‘off’, such as redness, swelling, and emotional difficulties like distance where there was once a social personality. Efficient – Most assistants have several or more patients to see every day and that means that each patient has to be dealt with completely and efficiently. It takes practice, but it’s important to master patience. It can be hard to deal with your patients some days; they may be angry, stubborn, forgetful, depressed or clingy and it requires patience to deal with them. You’ll also have to be patient with a difficult work schedule and of course with your co-workers and supervisors, willing to take criticism. Good supervisors will tell you how to improve. Make sure you can take it well because they are only trying to protect the patients. Compassion, professionalism and efficiency are probably the most important characteristics that are merged in a good nursing assistant. If you’re missing any of these things, this might not be the job for you. If you enjoy helping people and dealing with them on a personal basis, than this job could be a great way to go. Learning how to be a certified nursing assistant is fairly quick; usually the course takes about twelve weeks which is far faster than going for the full fledged nursing degree. This is one of the reasons why people interested in the medical field may wish to start as a CNA; if they decide they don’t like it, they don’t feel as though they’ve wasted too much time and money. There are one of two ways to get your CNA certification: through a college or online. They are both perfectly viable; online is good if you need to do your education on your own schedule and the college is good if you prefer to work face to face with your instructor. Whatever you decide to do, make sure that the course is certified through a health board and that it will give you the information you need to succeed. 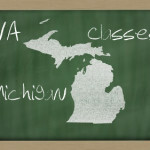 Once you’ve completed your course, you will have to take the CNA certification exam. This exam comes in two parts-the written exam and the critical skills test. The written exam is just that; an exam of questions in which you have to pass with at least 75% in order to be certified. The critical skills test is where you put your knowledge to work and show what you’ve learned, again with a minimum pass of 75%. Make sure to study thoroughly for these tests using good study aids and your own notes or else you’ll have to take it again! Once you’ve been certified as a nursing assistant, you then have to look for work. Use your school contacts (such as the fact that you would have had to do some hands-on training as part of your education), send out your resume everywhere you can, and keep yourself involved in the medical community by volunteering. 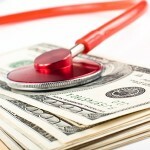 Be prepared to work in nursing homes first as the demand for CNAs there is highest due to the influx of seniors. However, you could end up working in a hospital or in many other places, so keep your options open. Working on the job as a CNA can be stressful, so it’s important to know how to deal with your co-workers and how to cope with the stress. There are a number of ways to do all of these things: meditation, exercise, reading, hobbies, and being both professional and friendly with your co-workers and supervisors. All of this is of course only an overview of the many things to expect when you decide to become a certified nursing assistant. For more in-depth answers, feel free to peruse the articles on certified nursing assistants, education, jobs, ethics, legality, salaries, and many other things located right here. 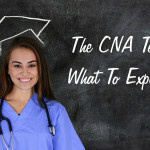 If you want to help people improve their quality of life and start the path on a medical career, then getting your CNA Certification may well be the perfect way to go.